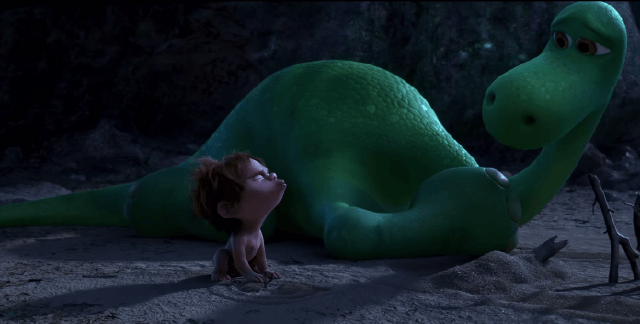 Movie Comment: The Good Dinosaur – BOBBY JAMES. 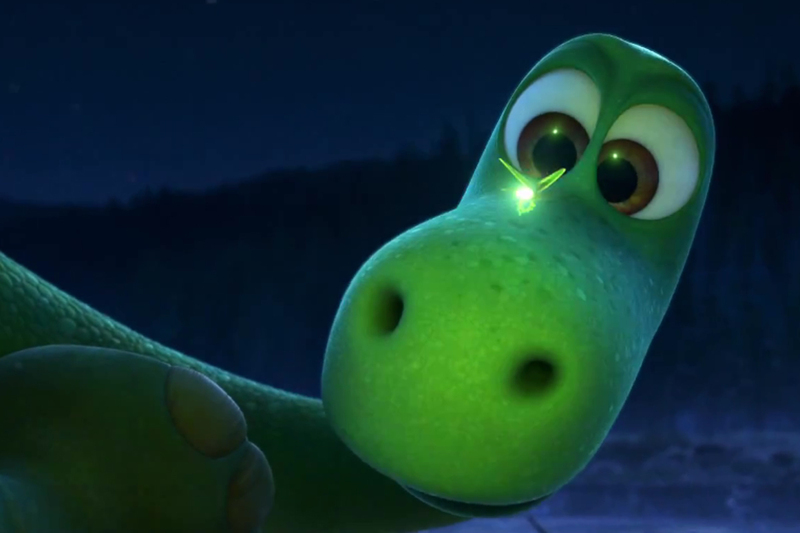 Disney•Pixar’s The Good Dinosaur marks the first time the studio’s released two features in one year (coming on the heels of Inside Out), and is the only Pixar story shared from the perspective of a juvenile character. 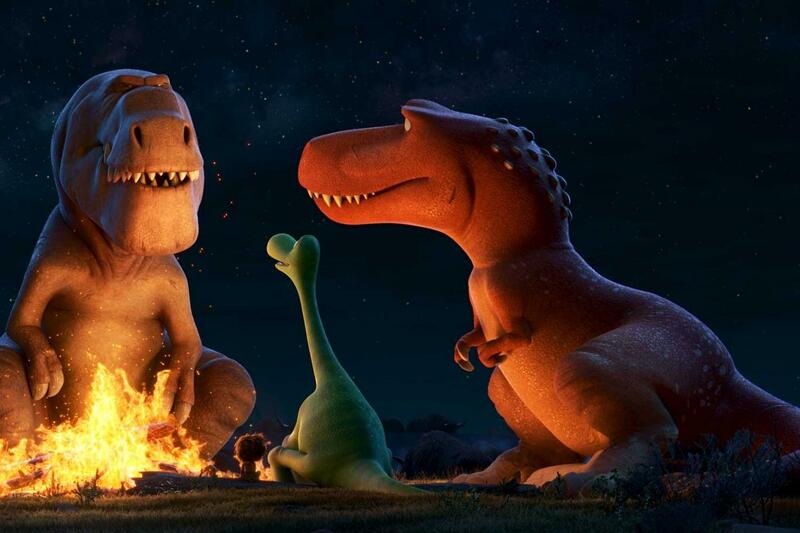 The result is a breathtaking and heartfelt cinematic experience that embraces simplicity, while offering a fresh story to the canon of dinosaur (and Western) films. 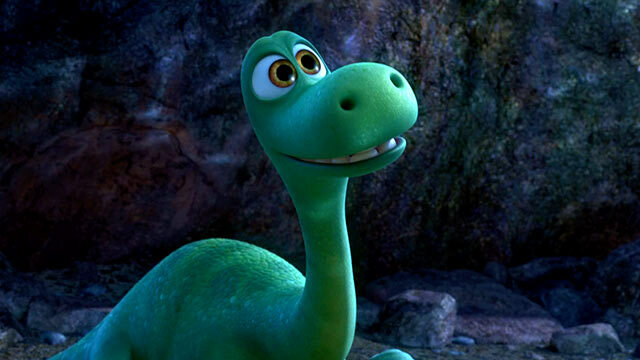 Meet Arlo (Raymond Ochoa, voice), a fearful young Apatosaurus looking to make his mark on the family farm. One day, while Poppa (Jeffrey Wright, voice) is helping Arlo overcome his fear, a “critter” arrives and sets a tragedy in motion – a tragedy that, by nature is classic Disney, but another Pixar first. Lost in a literal and figurative storm, Arlo and the critter – “Spot” (Jack Bright, voice) – are forced to navigate an unending wilderness to find home before the onset of winter. The journey and friendship that transpires is a beautifully moving story about fear, loss, perseverance, discovery, family and friendship. This tale of a boy and his companion is imagined anew in the year’s most engrossing and intriguing world. Expansive photographic vistas are used to dwarf Arlo and add a layer of tension, while immersing the viewer in Arlo’s world. 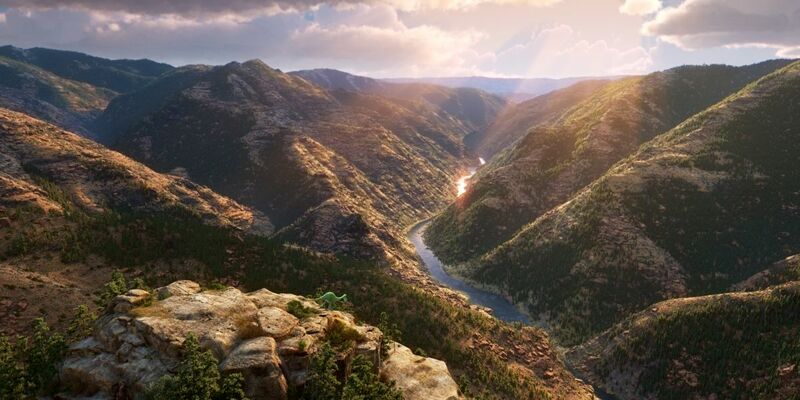 It’s in this world – and in those panoramas – that The Good Dinosaur presents a character capable of growing love from fear, heartache and hate. Arlo and Spot’s kindness toward one another develops a bond, and an improbable friendship emerges and matures (in line with the characters). The way director Peter Sohn plays to our simplest, yet most complex emotions is masterful – he reintroduces us to and preserves childhood innocence. Remember the wonder you felt the first time you saw a firefly – or how afraid you were in a thunderstorm? Those memories and wonderments are recaptured and continue for over an hour. Through that lens of appreciation and thought toward perspective, one may find the deeper meaning in a story some may claim is plotless or barren. Where others find fear and depression, there is hope and coping. This is Arlo’s story – from his perspective. To bond us to Arlo, we need to feel what he feels – to fear what he fears and to share his heartache and triumph. Sohn makes this possible and it’s truly magical. To accomplish that, it’s clear Sohn (and his team) was inspired in commendable and effortless ways to create a new classic. 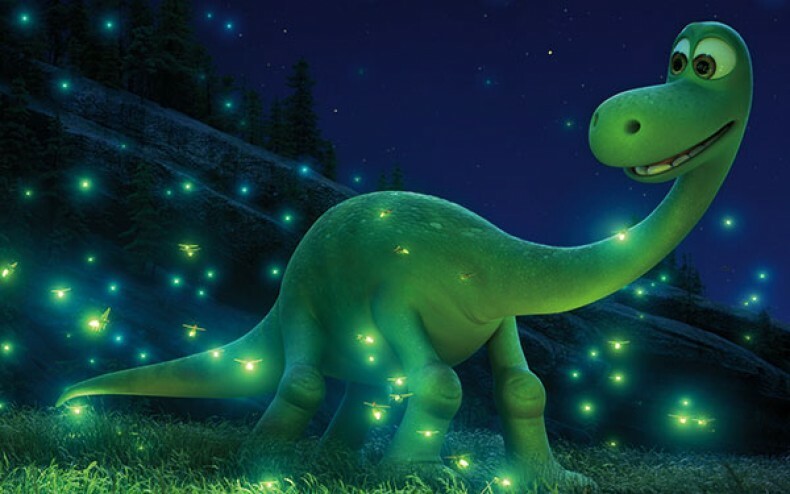 The Good Dinosaur will be a referential story/movie to children as they grow, and adults will be reminded of some key classics from childhoods of their own. Movies like Dumbo (in a fermenting fruit/hallucination scene), The Lion King (in a stampeded scene, tragic scene), Pocahontas (nature as a character) and obviously, The Land Before Time all help to shape the newest American Western. In this tale, there’s action and adventure – danger and triumph – and an array of emotion. 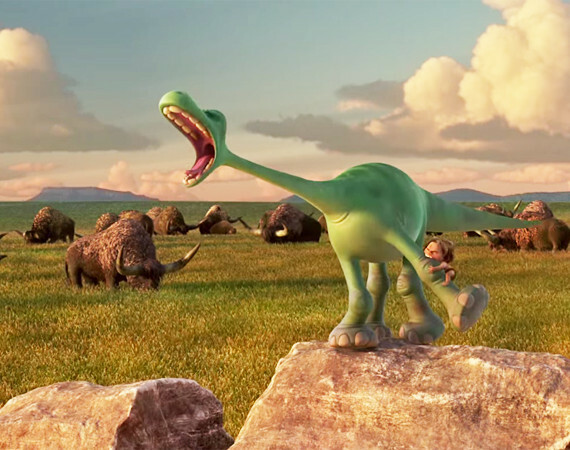 These emotions are displayed through interactions Arlo and Spot have with a group of characters placed throughout their journey. Some are weird – some are frightening – and some share fireside ghost stories and offer help. 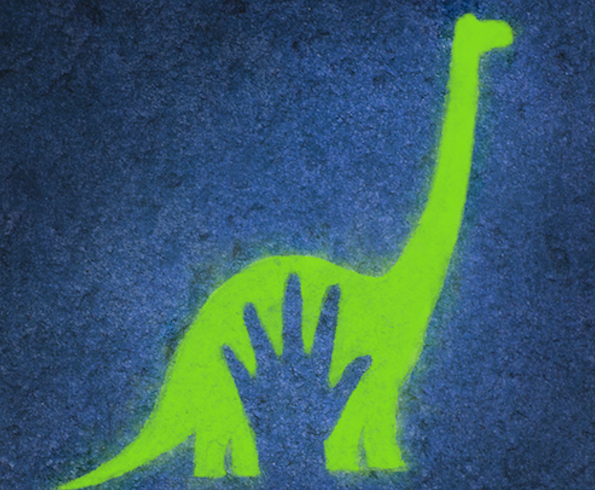 The Good Dinosaur is lightning in a bottle – it’s an innocence recaptured and shelved to access anytime. 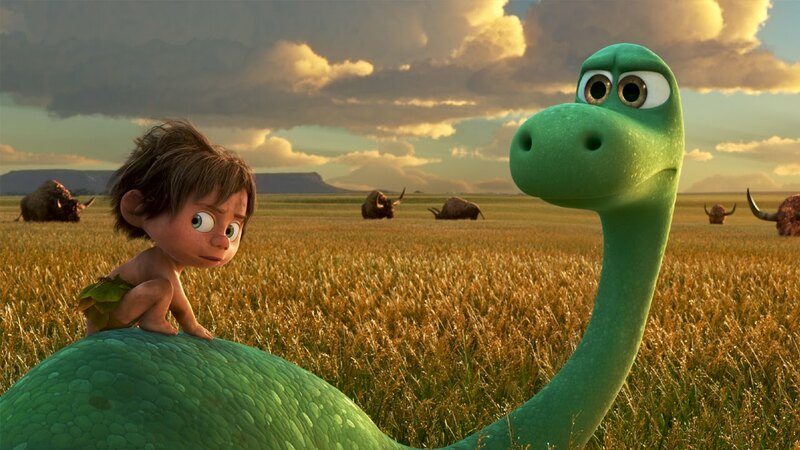 The Good Dinosaur runs 1 hour and 40 minutes, and is rated PG. 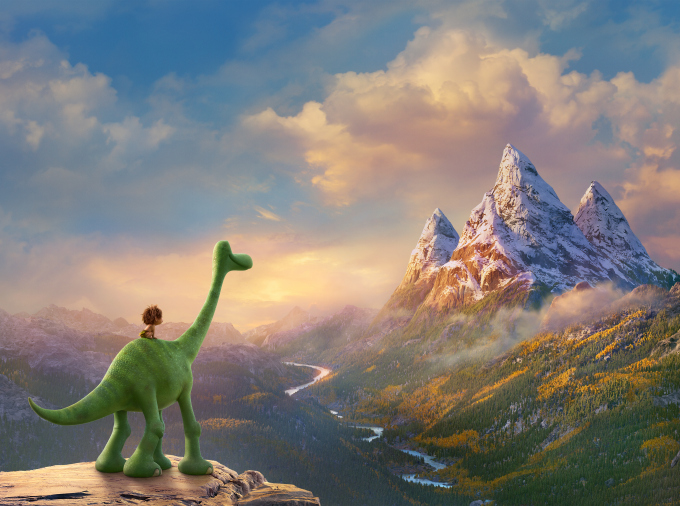 Note: I suspected The Good Dinosaur was sure to become my favorite Pixar movie – and it has (though, I’m likely placing it beside, instead of ahead of Up). I loved this movie and all of its simplicity and subtlety. I was particularly fond of the vistas, Arlo’s movements (which are similar to those of elephants) and the use of contemporary theories about dinosaurs. For example, the raptors have feathers and the suggestion that Arlo and the other dinosaurs could survive (or would have adapted to survive) winter, backing the theory that these magnificent species could have been warm-blooded. Even though I didn’t mention him in the review proper, I did love “Butch” (Sam Elliot, voice), the Tyrannosaur patriarch. His fireside story of his scar was brilliant – a highlight in this wondrous movie. Here’s a full gallery to browse through. Now, go see The Good Dinosaur! Next Post Bobby James Awards | Fan-Voted Categories: Voting Open Through Dec. 15!